Cooperation and partnership between other universities in different countries is encouraged in strategy papers of many universities. 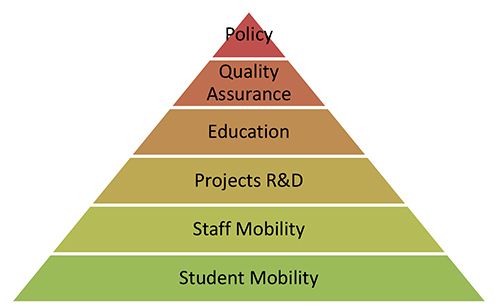 Many student and staff mobility programs already exist as well as cooperation in R&D contexts. However, joint courses offered by several universities together and implemented in curricula are not common. This paper focuses on long term cooperation and partnership between Karlsruhe, Laurea and Saimaa universities of applied sciences to offer a joint international business course based on business simulation. Another suggested field of improvement for higher education is the recognition of the transversal skills along with the specific professional skills. Transversal skills are understood to be working life skills that are important in many occupations. Examples of this type of competencies are language and cultural skills, teamwork skills or IT skills. The good level of transversal skills is proposed significantly improve the employability of the person, especially in the international sphere. Business simulations can be used as practical learning tools in modern business education. In the business studies context the students can practice their business skills in an as close to realistic situation as it is possible to simulate. The students apply their knowledge on various business areas in running a virtual company via a business simulation game. The aim of the business simulation course is that the students gain comprehensive understanding on how strategic business decisions are made in teams in areas like marketing, pricing, and investments and they can be used in various sectors such as manufacturing industry, international trade and hotel and hospitality industry. Competing against other teams makes the learning experience motivating and real-like. At the starting point of co-operation simulations were part of the business studies curriculum in each of the three universities. However, there was no continuous international cooperation with other universities although some experiments had been carried out with other international partners. Karlsruhe, Laurea and Saimia shared the same vision: Long term partnership and implementation of mixed international teams formed of students from all partnering universities. When students from different universities participate in the same course together, the course set-up has to be the same for all. Therefore course schedules had to be adjusted to suit all the universities. Learning platform issues and communication with the students were surprisingly difficult to unify as all the universities had different systems and security standards in place. Pedagogical choices required adjustments as well due to different learning objectives, learning activities and assessment practices in each university. Although simulations were part of the business studies curriculum in each of the three universities, there was no continuous international cooperation. Best practices and new knowledge was created at many levels in international surrounding. Teacher’s experiences about arranging a joint course on a continuous basis have been gathered throughout the planning, realization, assessment and reflection process of each course. Learning to be flexible in planning a joint course was found to be the most important issue. Teachers from different countries learnt about each other’s pedagogical methods, were able to align learning objectives and activities to be the same for the participants from the three universities, chose a common online learning platform and gained experience from using several digital virtual team-working tools some previously familiar only to one (Adobe Connect, Skype, Google tools, Webex, etc.). This way the jointly offered international course was improved from the original domestic ones. Many skills were enhanced at the teachers’ level. There was the need to use the language and cultural skills and virtual team work skills. The sharing of knowledge and new ideas was not limited to learning to use the new digital tools. Also the pedagogic knowledge was enhanced through the common creation of learning activities and reflective discussions after each course. The point of these discussions was to think together what we learnt as teachers, what was good about the course and where we had the room for improvement. Student feedback about their learning was collected immediately after the last assignment of the simulation by an open question in an electronic feedback form “What were your learnings from participating in the simulation?” Out of 31 students 15 participated in giving their feedback. Student’s answers were analyzed by content analysis technique. Based on that three areas of learning were found in the answers, namely international teamwork, virtual teamwork and decision-making in businesses. In the following, learnings in these three themes is summarized. International teamwork: Most of the students had worked in international teams during their studies at their own campuses. This experience was different because team members came from different universities in different countries with different back-grounds and previous studies. Students had realized how they can learn from each other and benefit from other team member’s different knowledge base, experience and perspectives on international business. Virtual teamwork: Although before the simulation the students reported they had experience in virtual tools, working virtually with strangers was more difficult for them than they had expected. Lack of motivation of some team members in some teams was reported to be the reason for poorly functioning teamwork. Teams experiencing poor teamwork also spent less time together online and they sensed that they really didn’t know much about their team members. Students commonly used communication tools for teamwork were Skype and Facebook and other social media tools. Decision-making in a company: As already concluded, this simulation was about making informed decisions when leading a company based on analysis on the present competitive situation in the simulated environment. The students realized the complexity of management decisions and how different activities and decisions in a company are intertwined. Past results are important and guide decisions for the future and before making final decisions it is important to analyze the possible outcomes. In decision-making it was important to focus on strategic big decisions. According to the student feedback the joint course with foreign partners was motivating, it enhanced learning and they got a real experience of the challenges they might face while working in international companies and teams. As one of the students put it: “business simulation games are really beneficial for students who have an attitude for learning. It challenges students and also enhances some abilities needed in a working life such as teamwork and leadership skills. I can also think of other advantages: simulation games shape innovativeness and creativity and increase the ability to make decisions. Students will learn to set goals and become more determined to achieve these goals. They also increase risk awareness, and help understand market rules. Based on these learnings and experiences it is suggested that when creating a joint course with international partners a systematic way to approach the planning is needed. In this case Bloom’s taxonomy was found to be a good model to guide thinking towards a jointly accepted set of learning objectives, contents and learning tasks and activities. The implementation of joint simulation enhanced the transversal skills such as language and cultural skills, teamwork skills or digital and social media skills both on teacher and student level. Additionally, teachers have been able to develop their pedagogical skills in an international setting throughout the courses. Learning objectives were well reached when using jointly arranged simulation. To support students’ motivation and belonging to the team it is proposed that learning activities are designed to increase team members’ knowledge about each other. Once team members know each other, they can better trust each other and that way build mutual commitment to do their best for the benefit of themselves and each other. The next experiment in this co-operation is to arrange a face to face week for the students before the actual game rounds. The purpose is to help the students to get to know each other before starting the virtual teamwork. The students from all three universities kick off the next joint course at Laurea Tikkurila campus in the end of October 2015. In the medium term the intention is to expand the partner network. Some discussions with potential universities have been held already. The VET Teachers for the Future® – Professional Development Certificate is a pilot teacher development programme for vocational and higher education teachers (VET) designed to meet the strategic goals of the Ministry of Education in Brazil and the needs of Brazilian Federal Institutes. The tacit targets of the programme are ambitious – the participants are expected to learn a considerable personal lesson, build professional networks, transfer pedagogical strategies and implement them in Brazil in their learning and working environments. On the other hand, HAMK has set the strategic targets to enlarge educational cooperation with Brazil already in the year 2000 and has advanced this with several measures, step-by-step. One of the steps is the teacher education and combined research process described in this article. The programme is research-based and this article is part of its development process. For the coordinator, Häme University of Applied Sciences (HAMK), it is important to conduct research on the programme. Based on that, we can carefully meet the learning needs of the participants as well as the strategic aims of the Brazilian partners and stakeholders. The data is based on interviews carried out with the two study groups in HAMK. In this article, the researchers´ interest is on developing the programmme´s ability to facilitate the intended educational and strategic development in the students´ home institutions in Brazil. According to Sahlberg (2011), the Finnish educational success depends on several factors, one of them being a high level of teacher competences and strong teacher professionalism. There are also several other reasons and success rationales based on the level of Finnish society and culture. However, we lack the scientific knowledge of how to transfer the successful models and learning communities into other contexts (Kurtti, 2012). This is the careful analysis of the context and means of transfer are suggested as future research challenges. Successful educational change includes a strategy process. According to Mantere (2003), people position themselves as either champions, citizens or cynics in the strategy process and the balanced share of different position holders defines the success of strategy in a community. A certain amount of champions is definitely needed with citizens to implement and cynics to give the necessary criticism for the strategy process. The program is coordinated by HAMK and contributed to by its partners Tampere University of Applied Sciences (TAMK) and HAAGA-HELIA. The pilot programme was conducted over nine months, five months in Finland and four months in the Federal Institutes in Brazil using digital learning environments and giving regular support and guidance from Finland. The scope of the programme is 30 ECTS. The first pilot group consisted of 27 participants in 2014–2015, and 30 in the second and still ongoing cohort in 2015–2016. The contents of the programme were formulated to train and prepare the teachers to design a competence-based curriculum with the emphasis on active learning, and skills to collaborate with the region, business and industries. The participants were divided into two study groups, in HAMK and TAMK Universities of Applied Sciences. The feedback has been actively collected from the students to acquire better customer insight and understanding, and to further design the program for future needs. For example, several other individual and group interviews were made and videoed and both qualitative and quantitative surveys were presented to the participants. In this article, we concentrate on the participants´ strategies and intentions to spread their learning experiences in their learning and working environments, just at that critical moment when the Finnish section of the programme had ended. There were 14 students in the first pilot group and 16 in the second, ongoing course. Altogether, 29 interviews (one declined) were videotaped, transcribed and analysed with a qualitative approach using qualitative data analysis software N-Vivo8 (Richards & Richards, 1995). The interviews were narrative-based (Polkinghorne, 1995; Czarniawska, 1998) and the interviewer took advantage of his well documented in-depth knowledge and available material based on teaching and following the interviewed participants along the programme. Thus he could grasp the moment. The primary way to enhance strategic development was said to be collaboration with peers, both the participants of the programme as well as the other active peers in their home Federal institutions. Their own managers were regarded as an important audience to hear about newly learned lessons in Finland. Their attitude and support were regarded as critical. The participants positioned themselves on two levels. Most of the participants positioned themselves as strategic actors, champions using the definition of Mantere (2003). The champions were planning to use concrete techniques like workshops, developing learning environments and engaging learning projects, using communication tools like media and storytelling. Some saw themselves at their best in the classroom using their new competences, even allowing the students to spread the good word of mouth and acting as citizens (Mantere, 2003) in the strategy process of pedagogical change. All intended to use the pedagogical competences learned although some of the participants had originally been expecting more emphasis on research in the own area of expertise than pedagogical content. The VET teachers for the Future -programme® can be described as a growth environment of new teacher identities and roles. During the five months in Finland, the narratives of participants can be described simply by the development from an individual teacher participant in the initial cultural shock in Finland towards a group of networked, collaborative strategic champions returning enthusiastically to Brazil. The participants positioned themselves as actors at the level of peers, in their own department and institution and even the Federal Institutions network, not only in their own classroom. The practical conclusion for the programme development can also be drawn – both the participant selection as well as the programme have succeeded well in reaching the strategic targets. To reach its full potential, the process needs to continue with support both during the on-the-job learning period back in the Brazilian reality and after the programme ends. Understanding the different strategic roles adopted by participants can help their return. Czarniawska, B. 1998. A narrative approach to organization studies. Sage Publications Qualitative Research Methods Series 43. Kurtti, J. 2012. Hiljainen tieto ja työssä oppiminen. Edellytysten luominen hiljaisen tiedon hyödyntämiselle röntgenhoitajien työyhteisössä. Acta Universitatis Tamperensis 1722. Tampereen yliopisto. Mantere, S. 2003. Champion, citizen, cynic. Social positions in the strategy process. Helsinki University of Technology. Industrial Management and Work and Organizational Psychology. Dissertation series 5. Espoo. Monikko oy. Polkinghorne, D. E. 1989. Phenomenological research methods. In R. S. Valle &S. Halling (Eds. ), Existential-phenomenological perspectives in psychology (pp. 41–60). New York: Plenum. Richards T. & Richards L. 1995. Using Hierarchical Categories in Qualitative Data Analysis. In U. Kelle (ed.) Computer-Aided Qualitative Data Analysis. Theory, Methods and Practice. Sage Publications inc. Printed in Great Britain by biddles LTD, Guilford, Surrey, 80–95. Sahlberg, P. 2011. The professsional educator. Lessons from Finland. American Educator. Summer 2011, 34–38. Today, it no longer makes sense to learn the same things twice. Therefore recognition of prior learning (RPL) is beneficial. It will help individuals to assess their skills, to facilitate the continuation of studies and provide with information on learning-promotion. The identification and validation of prior learning makes room for other studies and, ultimately, the students learn more. This in turn improves the quality and the employment of graduates and employers get people to work as quickly as possible. Furthermore, universities get motivated students and a well-functioning RPL enhances the education system. There are lots of students who have earlier education and thus could gain from the RPL evaluation. RPL procedures have started well at Finnish universities of applied sciences, but there is not a unified way for validation of prior learning and the evaluation can be context-sensitive. Educators, students or employers do not always have the same understanding about the RPL concepts and thereby it may seem difficult or its benefits questionable. At Finnish universities there is a need to clarify RPL, in which the fluency and equity of the process are confirmed. It is also necessary to diversify the recognition methods. Savonia University of Applied Sciences (SUAS) participates in an international Recognition of Prior Learning (RELATE) project, the participants of which are three universities and three vocational colleges in Germany, Estonia and Finland. 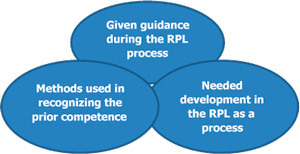 The project aims to develop the RPL process and practices. This article describes SUAS intensification of both the vocational college and international co-operation of developing RPL practices. Universities have the autonomy and are responsible for their degrees and also the quality of the accreditation of prior learning. Students and teachers have to know the methods and criteria of the RPL. It is also important to counsel students to describe their competence (Airola 2012, 107) to help them creating personal learning pathways (Muhonen 2012, 93–94, 95). The process also requires time and willingness for counselling (Venhovaara 2012, 63–64). The RPL process is technically logical, but in practice it can cause confusion in all European countries. Thus it is effective to develop RPL by both national and international co-operation. The project aim of RELATE is to promote permeability into higher education programs within three European countries, Germany, Estonia and Finland, and to create a model of agreement between vocational education and training (VET) and higher education (HE) institution for simplified RPL (Figure 1). Figure 1. RELATE project step by step. Universities of applied sciences in Finland have a strategy partnership with each other. It is also necessary to have strategy partnership with vocational education and training institutions. In the project SUAS and Savo Vocational College (SAKKY) are working as a national pair with international partners from Germany and Estonia to foster practical co-operation and strategy partnership in RPL development. The main task in the project of SUAS and SAKKY is to develop new methods for RPL in health care education for practical nurses to registered nurse or paramedic education. The aim is also to adapt the process model for co-operation between VET and HE institutions and get ideas for the local co-operation in curricula development. The RELATE project proceeded from gathering the best practices of student counselling, collection of data from students’ RPL experiences, comparing VET and He education and pilot testing practical RPL methods. At first the RELATE project collected data about the national methods and legislation of RPL. Also the used practices of student counselling and RPL instructions were described. It was found that the RPL as a process is very similar in all the participating organizations. There is a common need to clarify the RPL process and foster more the understanding, that competence, not studying, as the base for the recognition. Diversities were found in the counselling process and the methods used in recognition. Estonia and Finland have a systematic counselling at the beginning of the university studies and the electronic student interface for initiating the RPL process. In Germany the portfolio is well-developed and widely used as a method for applying for RPL. Figure 2. Students´ experiences about RPL process. The orientation course for studies was a starting point for the RPL. Suitable information was also found on the university internet and student counselling net system. The tutoring teachers ensured that the students knew the curriculum of their study program by having both individual and group counselling. Often the helper was also the teacher of the particular course, counsellor or IT-teacher. From fellow students, who had applied for RPL, could give good tips as well. Students found out that competence acquired before the degree studies could be credited as a part of the new studies from prior work experience or by the credit transfer of the earlier studies. The most common way was to apply for recognition of the practice periods and foreign languages. Recognition was either applied by the e-learning program or by discussion with a tutoring teacher. The time spent in the process depended on how well the student focused on the task. Sometimes it was difficult for a student to understand that the competence was not a list of skills or tasks they mastered. The most common method for RPL was a written description. Students had verified their competences by describing in-debt customer case-situations, reflected on the work they had done or wrote self-assessment. In any of the participating organizations simulations or other practical tests were not used in RPL. Mainly the RPL had given plenty of advantages e.g. possibility to work and earn money, to take time with family, to shorten studies by taking extra courses and to concentrate on personally challenging study areas. However, because of the difficult terminology, it took some time to understand the RPL as a practical tool for planning studies. Students suggested that teachers had uniform requirements and equal instructions for justifications of RPL instead of coincidence. There was a need for personal help with the documents, more help for arranging opportunities to do the studies faster and also different options for applying RPL; simulation, skills demonstration, possibility to show competence at the beginning of the placement period. Third task for Finnish participants was to make a comparison between VET and HE health care education and find out the common competences. The aim was to create practices/methods that help the student know-how to become more effectively integrated into the new degree. For a closer inspection and piloting were selected two 5 credit-first-semester-nursing-education courses. Also the VET/HE educational co-operation were inspected step by step (Figure 3). Figure 3. Process of co-operation between VET and HE in Finland. For VET graduates, who started studies in SUAS nurse or paramedic programs, it was developed practical pilot tests for RPL. Skill labs, simulations and case studies were used as test methods. Successful completion of the competence test entitled to receive a part of the course/ the whole course accredited. The RELATE project fostered the participants’ understanding about the importance of the RPL process from the strategical viewpoint. The benefits of RPL, with the study time shortening and enhancing the motivation of the student, have both humane and financial implications for universities of applied sciences strategic outcomes and international partnerships. Therefore this development is needed to continue both at the international and national level. The international project co-operation of VET and HE organization produced strategical knowledge about planning fluent continuum of studies. It also widened understanding about the produced competencies in VET and HE institutions and thus help participants better to develop curriculums in co-operation. Practically it produced new methods for RPL and at this moment developing simulation competence tests is one common national and international development target. Supporting the co-operation of VET and HE institutions e.g. by this way, it will become more formal and standardized and thus widens students possibilities for RPL. Also other co-operative ways e.g. open access summer and multiprofessional studies and co-operation in working life should be developed. The results such as good practices for co-operation of HE and VET institutions and developing new competence test methods fostered overall the strategy partnership of project partners. Airola, A. 2012. Kokemuksia osaamisen tunnustamisesta Pohjois-Karjalan ammattikorkeakoulussa. Teoksessa Airola, A. & Hirvonen, H. (toim.) Osaaminen näkyväksi. Kokemuksia osaamisen tunnistamisesta Itä-Suomen korkeakouluissa. Publications of the University of Eastern Finland. General Series No 8, 130–138. Muhonen, P. 2012. Osaamisen arvioinnin hyviä käytänteitä Pohjois-Karjalan ammattikorkea-koulussa. Teoksessa Airola, A. & Hirvonen, H. (toim.) Osaaminen näkyväksi. Kokemuksia osaamisen tunnistamisesta Itä-Suomen korkeakouluissa. Publications of the University of Eastern Finland. General Series No 8, 93–100. Venhovaara, P. 2012. Savonian AHOT-toimintamalli osana opiskelijan ohjauksen kokonaisuutta. Teoksessa Airola, A. & Hirvonen, H. (toim.) Osaaminen näkyväksi. Kokemuksia osaamisen tunnistamisesta Itä-Suomen korkeakouluissa. Publications of the University of Eastern Finland. General Series No 8, 57–72. 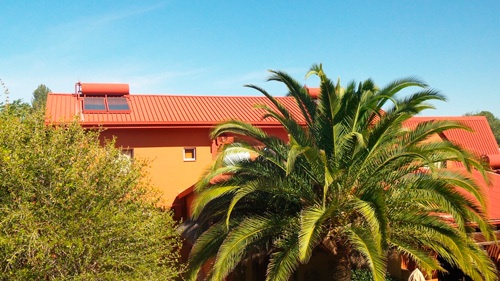 Satakunta University of Applied Sciences (SAMK) has entered into a co-operation agreement with Polytechnic of Namibia (PON) on issues relating to land and sea since 2012. The co-operation has been especially on R/V Mirabilis and maritime education (Keinänen-Toivola et al. 2014). The three-year project “Improving the maritime education in Namibia 2013–2015 (MARIBIA)” is financed by the Ministry for Foreign Affairs of Finland. MARIBIA project is a partnership between Satakunta University of Applied Sciences (SAMK) the Polytechnic of Namibia and Namibia Maritime and Fisheries Institute (NAMFI) on maritime education in Namibia. 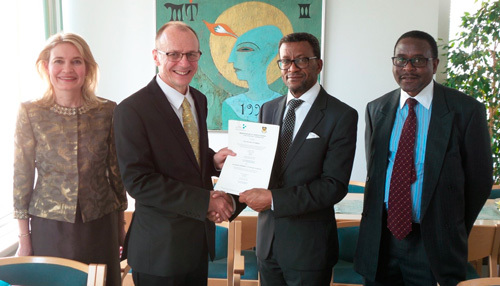 This co-operation was taken to the next level in May 2015 in Rauma, when SAMK and Polytechnic of Namibia signed the memorandum of understanding (MOU) (Fig. 1). 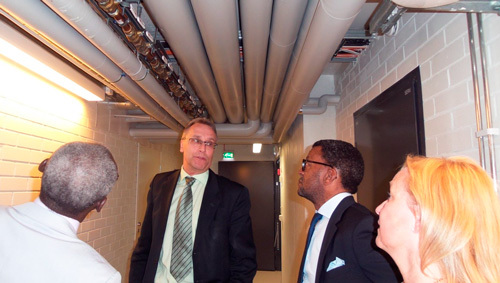 Prof. Tjama Tjivikua, Rector of the Polytechnic of Namibia and Associate Professor Samuel John Dean of School of Engineering also visited SAMK’s Faculties both in Rauma and Pori. PON is planning to establish centers of excellence similar to those of SAMK’s centers of excellences, such as on water and solar energy (Fig. 2). PON is a Higher Education Institution established by an Act of Parliament (Act No. 33 of 1994) in Namibia and commenced operations in 1995. The Polytechnic was established to offer career oriented programmes to meet the scarce skills challenging the country. The institution is dynamic and fast growing with a strong focus on science, engineering, technology and mathematics. About 55% of the 13000 students are female. The Polytechnic emphasizes on innovation and strives to improve the living conditions of people through the pursuit of applied and problem-solving research. PON is enrolled in six Schools: School of computing and informatics, School of engineering, School of human sciences, School of natural resources and spatial sciences and School of business sciences. The Polytechnic is also home to several centres of excellence and institutes, from which participants are drawn for the NAMURBAN project. These are the Namibian-German centre for logistic, centre for open and life-long learning, centre for enterprise development, Namibian business innovation institute and the Namibia energy institute. There is also the Harold Pupkewitz Graduate School of Business. In December 2012, the Cabinet of the Republic of Namibia approved the long-standing request for the Polytechnic to transform into the Namibia University of Science and Technology. Hence, the institution is in a change process which will be finalized in 2015. 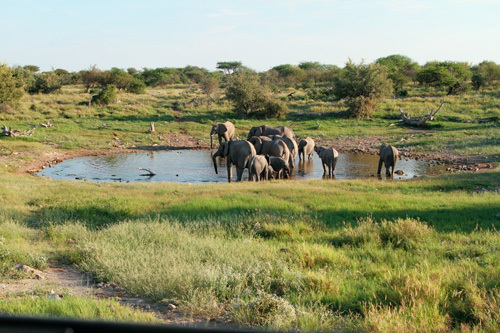 SAMK and PON have commenced a research project titled NAMURBAN, which stands for Namibia Urban (Fig. 3). NAMURBAN widens the co-operation between SAMK and PON from education to research and development work. The research is aimed at developing a framework for urban resource efficiency utilization in developing countries using Namibia as a pilot country. NAMURBAN is part of Tekes and the Ministry for Foreign Affairs in Finland’s BEAM – Business with Impact -programme for innovations meeting the needs of developing countries and providing Finnish companies with new business opportunities in the growing markets of such countries. The innovations in question can involve technology, service, business or social innovations (Tekes, 2015). A very important part of the NAMURBAN research is the part funding from nine Finnish companies partly, and by implication also actively participating in the research. The specific solutions of NAMURBAN are based on the analysis of the current situation and needs for urban technology and systems in Namibia (Fig. 4 and 5). Namibia’s vision 2030 states that by 2030, Namibia will be a prosperous and industrialized country, developed by its human resources, enjoying peace, harmony and political stability. Namibia’s National Development plan (NDP4) is increased income equality, employment creation, and high and sustained economic growth. The economic priority areas are logistics, tourism, manufacturing and agriculture. This research will be the first to study and develop a sustainable technological concept on urban environments in developing counties using a pilot sites coastal city Walvis Bay in Namibia. In Namibia, the urban development balance is very fragile as the population is growing at the rate of 2.5 % per year, and in some cities even 4 % per year. Namibia has a peculiar challenge, in terms of urban development due to informal settlements, extreme water scarcity, and dependency on imported energy combined with one of the world’s highly skewed income distribution situation. The social challenges are therefore unequal income distributions, huge unemployment of young people, and low education level, and lack of sufficient skilled people in most sector of the economy. There is an existing and growing population of under-educated young people, who enter the job-market without skills, resulting in the high unemployment rate of over 30%. In the next ten years, population in Africa is expected to grow by 25% and it is forecasted that 70% of the growing population will be living in slums mushrooming around the megacities. Global megatrends (urbanization, megacities, slumming, clean water, CO2 free energy production, digitalization and food production) are realities in Africa already. At the moment the ongoing infrastructure projects (housing, traffic, energy, water) corresponds to 378 billion USD markets in the sub-Saharan area and 1190 billion USD market in the whole continent. By the year 2020 the number of mobile connections is expected to grow near market saturation point and the number of internet connections will increase 60% from the 2010 level. Furthermore, the discretionary income will grow over 50% compared to present level, creating a 1.4 billion USD mega consumption market. Big scale urbanization and hugely growing markets require extensive investments to infrastructure (including ICT- and mobile), water, energy, and food production processes also in the future. In several developing countries, lack of pure water and sanitation systems and self-sufficient energy production, are barriers for further development. For example, in Namibia 60% of the consumed energy is imported from outside the country. Market growth happening in sub-Saharan Africa creates vast possibilities for the Finnish companies for long term business development and expansion (Fig. 6). Finland is a country with extreme conditions and long distances, and Finnish companies have strong knowhow and competence in those areas, which create largest challenges in Africa’s development and growth, namely affordable and energy efficient construction, energy production and water processes as well as ICT-solution development. Resource efficiency in urban development is the key for success for economic and social development while ensuring the minimization of the negative effects to the environment. Keinänen-Toivola, M., Koivisto, H., Marva, M.-M. & Latva M. 2014. 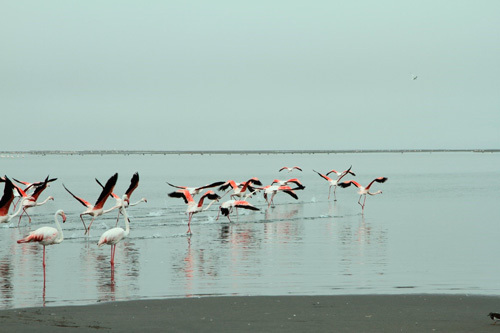 SAMK having co-operation on land and sea in Namibia. AMK-lehti // Journal of Finnish Universities of Applied Sciences, No 3 (2014). http://uasjournal.fi/index.php/uasj/article/view/1606/1530(available online 17.9.2015). Tekes 2015. http://www.tekes.fi/en/programmes-and-services/tekes-programmes/beam–business-with-impact/ (available online 17.9.2015). Problem: How to promote European student mobility for practical placements? However, the guidance skills of mentors play a major role in the success of the learning experience (Dale et al. 2013). Guidance given by mentors during practice has a significant effect on the integration of foreign students into local working life and community. This can lead to willingness to stay and work in the country of study after graduation. (Mattila et al. 2010; Pitkäjärvi et al. 2012). Furthermore, the development of the pedagogy in placements has not been linked to the curriculum development. Therefore, mutual trust and effective communication between the HE and working life institutions should be strengthened by bringing the teachers and mentors together to improve their multicultural competence. Being elementary parts of social capital, mutual trust and communication should be built in a structured manner between the parties. One of the responses to the needs described is the EU funded project “SOULBUS – Building Social Capital by Improving Multicultural Competence in Higher Education and Labour Market”) 2014–2016 implemented in cooperation with five EU countries: Finland, Netherlands, Estonia, Slovenia and Croatia. Overall 13 partners participated in the Soulbus project. Six of them being HE institutions and the other six working life partners such as hospitals and NGOs. The third country partner is the School of Social Work, San José State University, USA. The consortium was put together initially by a coordinator who looked for higher education institutions which have a strong relationship with their labour market partners, and also need to improve multicultural skills of mentors and teachers. Another way of selecting suitable partners for the consortium was to ensure that a partner organization has a strong emphasis on internationalization, and has a strategic plan incorporating vision, mission and goals of how to increase a number of exchange students particularly in practical placements. Some partners had have cooperation with mutual projects and curriculum activities with each other’s but most of the partners were unknown to each other. Project’s outcomes are divided into the three parts: 1) to improve teachers’ and mentors’ multicultural competence to increase the volume of placements available to foreign students and to harmonize the quality of placement. The objective is achieved by offering the target group possibility to attend the Soulbus E-Coach program which is designed and piloted in the project, 2) to improve attractiveness and accessibility of the practical placements for the foreign exchange and degree students as a part of the higher education institutions’ curricular activities, and 3) to support systematic, long-term collaboration between higher education institutions and working life partners. The Netherlands and Finland have been members of Erasmus programme for a long time and both countries run a number of English-taught degree programmes in the fields of education, rehabilitation, social and health care. Additionally, both countries have described the internationalization competence, and internationalization and practical training abroad has been part of the curricula for years. Slovenia, Estonia and Croatia have, on the other hand, only a few foreign exchange students annually and thus, not enough practical placements are available for the foreign students. However, they are strongly motivated to internationalize their curricula, set up English-taught degree programmes and most of all, offer practical placements with good quality of guidance. From the beginning of the project it was aimed that the less experienced partners learn from the more experienced ones when hosting foreign students and carrying out their guidance. This promotes transference and dissemination of knowledge and skills and enhances creativity and innovations between partner organizations. The consortium started with an analysis of the present situation of guidance and pedagogical practices of foreign students in each partner country. Each partner country conducted a focus group interview where data was collected from the students’, teachers’’ and mentors’ perspectives. As a result, a Case Study Repository, is now available for all the participants to be shared and learned from. Secondly, as an experienced partner Saxion UAS in the Netherlands planned and piloted the Soulbus-e-Coach online programme to enhance multicultural competence. The programme will be beneficial for the practice placement mentors in guiding foreign students and support teachers when guiding incoming and outgoing students. An online programme it is profitable for all mentors and teachers working in the European HE Area. The Soulbus consortium expected that every HE institution and working life partner work mutually to improve their multicultural competence and guidance practices. The aim was that the partners shared experiences and expertise of multiculturalism and pedagogy. Multicultural approach means enhancing the quality of guidance and increasing the volume of placements. To achieve this goal, the partner pairs have had continuous co-operation from the beginning of the project e.g. by organizing the focus groups together. All the HE partners and their counterpart from the working life have participated in numerous face-to-face seminars during the project. Furthermore, HE institutions have continuously been in touch with their working life partner to ensure their active role and to consider their specific needs to develop trust and share the learning processes. To strengthen trust and increasing mutual understanding in the guidance of foreign student, mentors and teachers of the Soulbus E-Coach program worked through two pilot phases. This will help to implement the European Qualifications Framework for practical placements in order to enhance competence-based training in the education, rehabilitation and social & health care sectors. One task of the programme was to produce and pilot tailored actions in each partner country and to use peer-learning in sharing pilot experiences. The pilots aim at exploiting innovations and creative solutions which can be incorporated into the national curricular activities. Every partner pair planned and performed national actions concerning their specific needs of foreign student’s guidance in practical placement. National actions were peer-reviewed in order to share good practices, learn from each other and, above all, utilize counterpart’s experience and expertise in mutual challenges. It is evident that active collaboration between the mentors and teachers develops attitudes and practices. Based on our experience, one of the best ways to reduce prejudice is when professionals work together to promote genuine appreciation of diversity. During the collaboration the whole consortium has learned different working styles, pedagogical views and practices of practical training. This will result foreign students receiving better guidance and the increased volume of placements. Practical methods for guidance such as ways to overcome language barriers, have been shared among partners. Participants have also exchanged experiences of useful tools, practices and methods in guidance. These can be implemented and disseminated within the universities and work places. Close collaboration creates innovative ways to link curricular development to practical placements practices following the National Qualification Framework. As a result of the project, a cooperation agreement was made between two partner high education institutions. This means that students, teachers and other staff members have a possibility to take part in the exchange programmes of the institutions. Working life partners are not so familiar with the Bologna Process and the aims of the European HE Area. This may cause challenges in the collaboration. To overcome these challenges, the project has encouraged open and constructive communication between partner pairs. This has turned out to be an important way to communicate views and working methods. One result of the project was that the working life partners from non-governmental organizations (NGO) clearly benefited from a close collaboration between each other’s, and now they are searching for possibilities of extending the cooperation in the field of guidance of foreign students. Working together in Soulbus project has built knowledge, trust and willingness to co-operate with the proven consortium and new project initiatives in the future as well. The Soulbus project has offered a fruitful arena for partners to develop their knowledge and skills on multicultural competence in relation to foreign students’ practical training. Overall, this cooperation has served as valuable first steps towards creating a strong learning community. The aim of the consortium is to continue collaboration between partners, to develop international mobility HE and related multicultural competence. Dale, B., Leland, A. & Dale, J. G. 2013. What factors facilitate good learning experiences in clinical studies in nursing: Bachelor students’ perceptions. International Scholarly Research Notices, volume 2013 (2013), Article ID 628679. doi: http://dx.doi.org/10.1155/2013/628679. Edgecombe, K., Jennings, M. & Bowden, M. 2013. International nursing students and what impacts their clinical learning: literature review. Nurse Education Today, 33(2), 138–142. doi: 10.1016/j.nedt.2012.07.015. Mattila, L-R., Pitkäjärvi, M. & Eriksson, E. 2010. International student nurses’ experiences of clinical practice in the Finnish health care system. Nurse Education in Practice 3, 153–157. doi: 10.1016/j.nepr.2009.05.009. Pitkäjärvi, M., Eriksson, E., Kekki, P. & Pitkälä, K. 2012. Culturally diverse nursing students in Finland: Some experiences. International Journal of Nursing Education Scholarship 1, 1–16. doi: 10.1515/1548-923X.2356. Soulbus project’s website. http://www.jamk.fi/en/Research-and-Development/RDI-Projects/Soulbus/Etusivu/ (23.8.2015). Laurea UAS began a two-year CIMO project in January 2015. The purpose of the project is to improve strategic partnership activities and, by means of an international development project, the cooperation between universities in Finland and China. Increasing cooperation activities in the global market environment not only benefits organisations that provide higher education but also aims at sharing knowledge and education in a more active manner. The goal is to improve cooperation between Finnish and Chinese companies and organisations in the future and to eliminate barriers that prevent international cooperation and partnerships between micro, small and medium-sized enterprises. The project time line is divided into four parts over a two-year period. In Finland, Laurea’s Uusimaa units P2P in Hyvinkää and Business Lab in Lohja serve as the coordinating bodies. Thus, they are responsible for project funding and matters related to operational planning. In accordance with the partnership activities, Häme University of Applied Sciences (HAMK) is the project partner for cooperation schools in Finland and China. The participation of project partner institutions operating in China – Xiamen University Software School, Jiangxi Science and Technology Normal University and Beijing Technology and Business University – adds an international dimension to the project. There has not been similar cooperation between the Finnish and Chinese schools before this project. Thus we are hoping to accomplish lasting relationships between the schools and make it easier for companies to cooperate. The universities operating in China and universities of applied sciences in Finland each have their own contact with which project parts are implemented and divided into ”action points” for each period. Business Lab and P2P are in contact with the international coordinator responsible for Xiamen University Software School and with student, working together on actions that are specified for each period of the project and maintaining contact in weekly virtual meetings. HAMK is a project partner with Jiangxi Science and Technology Normal University and Beijing Technology and Business University, which operate in China. This paper concentrates in the cooperation between Laurea UAS and Xiamen University Software School. Partnership activities in this project culminate in regional, inter-organisational and international differences between the educational lines and students. Thus, the students, organisations and the actual project all benefit from international cooperation and the viewpoints of experts and students from several different fields. Partnership activities and international cooperation makes it possible to utilise elements from China and Finland and their own unique market characteristics in project implementation and planning. For Laurea, the first phase in the project, in January 2015 involved creating a foundation and strategy process for the different phases of the project. 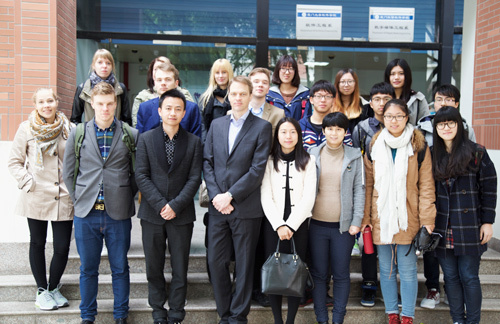 During this phase, Finnish students would travel to China and present the project targets and a description of the Finnish market situation. However, the most important aim of the trip was to establish a strong foundation for the strategy process. At the same time, the practical arrangements concerning communication and measures were agreed. The first major part of the project was then to build the cooperation process and develop the communication between students and faculty in these higher education institutions. The P2P project team began its part of the project by creating a comprehensive analysis of the Finnish market. The purpose was to survey how factors affecting the market environment impact on market functioning, and to provide the project team operating in China with information about the operation and current state of the Finnish market. The Business Lab project team started to develop a module that would ease international cooperation between Finnish and Chinese micro, small and medium-sized enterprises in the future. This team began its work by collecting background information on the problems encountered by Finnish small and micro enterprises when cooperating with Chinese companies and organisations. The background research was completed in the form of benchmarking and qualitative interviews. The background research made it possible to identify the biggest problem areas with regard to launching international cooperation. Many small companies cannot hire a consultant to handle or assist with starting international cooperation or trade relations. There is demand for products ordered from China, but the challenges to establishing trade relations can be huge for small and medium-sized or micro enterprises. The second challenge to launching cooperation between Chinese and Finnish companies is language and differences in virtual communications channels. In March 2015, a project team of students and teachers from Laurea made a visit to Xiamen in China. During this trip, we learned more about our cooperation institute Xiamen University Software School and local culture. At Xiamen University, we met a group of Chinese students who will be involved in the project for the next two years. The P2P project team presented its analysis and showed the Chinese students how to produce a similar analysis for China. The analysis lays a foundation for the project by increasing understanding of the other culture and thus facilitating cooperation. The Business Lab project team presented a raw version of a module that it developed. At this stage of the project, we were aware of the challenges on the Finnish side, and during the trip we addressed the challenges that Chinese companies encounter when working with Finnish companies. The aim was to survey the challenges that Chinese companies face when initiating cooperation, and to find solutions to the challenges that Finnish companies have encountered. After returning to Finland, the teams continued to work on their own, meeting weekly in virtual format. The weekly meetings ensured that everyone moved in the same direction in terms of project implementation. Working on an international project differs from project work with a Finnish team. In Finland, we are accustomed to a disciplined work style and are relatively reserved in terms of body language. The Chinese body language, customs and etiquette are very different than that of Finns. Another challenge was how to communicate and hold project meetings when the project team is separated by a few time zones and no one is operating in their native language. In addition, cultural differences and technology factors have an impact on project work. For example, women in China have a very different position in the university world than their counterparts in Finland. Behavioural etiquette in lectures and meetings also differs significantly from prevailing practices in western countries. Community spirit in China is on a completely different level than in, for example, in Finland. People in China almost always consider their own job or educational institute to be the best in the field, which means that anyone seeking neutral feedback or a recommendation should begin by interviewing people from outside the organisation. Image and reputation have great importance in China. This affects negotiations and brainstorming sessions held with the Chinese. During the spring, we learned that critical arguments or development proposals should be presented in a roundabout manner as questions rather than direct comments. This avoids situations in which a Chinese student is embarrassed by being the target of ”criticism”. The opportunity to work in an international team also provided valuable knowledge for the world of work. If we get the chance to work in a multicultural team later in our careers, we will be better prepared to handle the potential challenges. Project work cannot be compared to traditional campus studies, because the learning that occurs in projects is completely different from lecture-style learning. The experiences are much more beneficial than theoretical studies. Project work has become more prevalent at workplaces, which makes participation in such a large project very useful. Studying in projects has developed our skills in social interaction, the English language and project work. Applying knowledge in practice and implementing a project brings a practical aspect to learning and teaches people how to deal with problems and situations that do not come up in lectures. This article depicts only the first part of the project that set the foundation for the future actions. During this project the students in Finnish project team will change but Chinese team stays the same for the whole two-year project. This change in personnel has a lot to do with the formation of the studies in both countries. Finnish students use project management system to manage the project and share the documents. The teachers for both Hyvinkää and Lohja students stay the same for the whole project. The first teams planned the process and now new students are taking those into action. The goal for the second part of the project is to take these proposed plans to action. We are now contacting interested businesses in both countries and building the contacts for them. The idea is that by the coming spring, we would have the first actual contacts for the international projects. It is also in the plans that in the spring 2016 the students and faculty from Xiamen University Software School will come to Finland to meet the new Finnish students and also to get acquainted with Finnish culture and businesses connected with the project. Current trends in the globalised markets of the twenty-first century include increased interdependency and inter-organisational networking between organisations from different societies. A number of researchers who are involved in the field of innovation clusters and networks have explored positive outcomes that arise from the sustainable networking of actors with complementary resources and competencies (e.g. Porter, 1998, Asheim & Isaksen, 2000; Ferreira et al., 2012). Following these trends, non-profit sector organisations in the fields of education and academic research have also become engaged in a variety of academic partnerships, exchange programmes and industry cooperation projects. At the heart of these developments, the completion of the European Research Area (ERA) by 2014 was at the top of the political and legislative agenda of the European Union (EU), as it would be an area of free movement and exchange of research, scientific knowledge and technology (Chou, 2014). Regional Innovation Systems (RIS) have been raised to the position of being the most critical tools for enhancing research and innovation capacities throughout Europe and ensuring their optimal use. Lundvall (1985) initiated the term of Innovation System (IS). A few years later, the idea of the Regional Innovation System (RIS) was introduced (Cooke, 1992; Isaksen, 2001; Iammarino, 2005). There are different approaches used by scholars to define RIS. According to Cooke (1992), the concept of RIS is the prelude to an extended discussion on the importance of financial capacity, institutionalised learning and productive culture to systemic innovation. The complete regional innovation system consists of (1) firms representing a region’s main industrial clusters, including their support industries, (2) ‘supporting’ knowledge organisations, and (3) the active interaction between these actors. Thus, it involves cooperation in innovation activities between firms and knowledge creating and diffusing organisations, such as universities, colleges, R&D institutes, business associations etc. (Isaksen, 2001) Some researchers consider RIS as an interactive, dynamic structure made up of partners in the regional production (Lambooy, 2002) or even as a kind of complex adaptive system (Cooke, 2013). Isaksen (2001) emphasises that the change from a cluster to an innovation system requires strengthening the region’s institutional infrastructure through enlarging the involvement of knowledge organisations (both regional and national) in innovation cooperation. Organisations cooperate closely on an institutional level with the aim to develop and implement regional innovation strategies (Boekema et al., 2000) in order to develop the local economy. Recognising the strength and power of networks in creating regional innovation system and fostering economic growth, the knowledge-based innovation network (METNET) was established on the basis of the regional cluster InnoSteel, which was founded by the Häme University of Applied Sciences (HAMK) in cooperation with Rautaruukki Oyj (currently SSAB Ab). Establishing the METNET knowledge-based innovation network was a first step towards building a regional innovation system (RIS) in the Häme region. to share knowledge and technology services as well as new production-related solutions and operating models among the industry players. Recognising the strength of international cooperation networks in contributing to regional innovation systems, the METNET knowledge-based network was formally founded by signing an agreement between eight foundation members in Berlin on 2 November 2006. The METNET knowledge-based network is based on voluntary cooperation and equality of rights for its members. The purpose of the network is to bring together European educational and R&D organisations engaged in research and development in the steel construction and technology industry to support their cooperation. to hold international seminars, workshops, training programmes, and consultation and to seek funding for these activities. Currently, the METNET network has over 40 members from 17 countries all over Europe including non-member states of the European Union such as Russia, Ukraine, Belarus and Turkey. These members are universities, higher education, as well as research institutions and enterprises who represent their regional innovation networks. Each regional innovation network has its own priorities and strengths (see Figure 1). Figure 1. 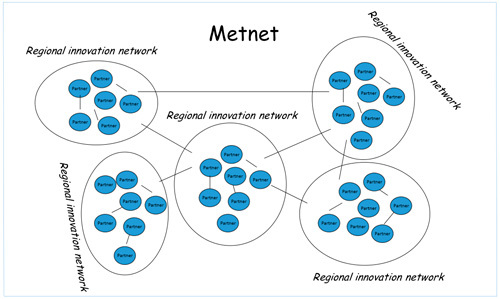 METNET knowledge-based innovation network. HAMK has been the leading member of the METNET network acting as the main coordinator of most activities for the entire period since network’s foundation. As a leader, HAMK has been responsible for organising annual conferences, workshops and other forms of cooperation within the network. The METNET annual conferences and workshops have taken place in different countries and been organised in cooperation with the regional network members. The Tenth METNET International Conference will be hosted by the Budapest University of Technology and Economics (BME) in Budapest in October 2015. Network members fund their own participation in METNET activities themselves through their own financing arrangements and/or projects. Among the most active Finnish sponsors are the City of Hämeenlinna, Rautaruukki Oyj (currently SSAB Ab), HAMK and other university members. In the case of METNET international events, the regional sponsors have been local businesses, universities and city organisations. Planning, preparing and managing joint international projects are the most important and most demanding activities of the METNET network. The network members have prepared and submitted several project applications for the EU funding. There is an international project, named Ruoste (financed by the Research Fund of Coal and Steel RFCS) currently running. Currently, another project in the same technical area is under preparation. Additionally, METNET members have participated in several Finnish national projects managed by HAMK. The METNET network has significant implications for the development potential, research and innovation capacities of the Häme regional innovation system (RIS) and wider communities of Europe represented by the network members. METNET provides an international innovation environment for its members and the possibility to expand their regional innovation networks internationally. International networking facilitates learning that promotes innovation. Through the channels of the METNET network, network members are able to use more of the information available in their research and development work. Importantly, enterprises are able to acquire new knowledge, new development and business opportunities and access to resources outside their regions. Interpersonal relationships are of particular importance in the exchange of information between the network members. The achieved long-term trustful relationships stimulate interactive learning and inspire joint development work. In turn, joint projects developed by the members of the network maintain the METNET cooperation. Asheim, B., & Isaksen, A. 2000. Localised knowledge, interactive learning and innovation: between regional networks and global corporations. In E. Vatne, & M. Taylor (Eds. ), The Networked Firm in a Global World. Small Firms in New Environments (pp.163-198). Ashgate: Aldershot. Boekema,F., Morgan, K., Bakkers, S. & Rutten, R. 2000. Introduction to Learning Regions: A New Issue for Analysis? In F. Boekema, K. Morgan, S. Bakkers, & R. Rutten (Eds. ), Knowledge, Innovation and Economic Growth. The Theory and Practice of Learning Regions. Cheltenham, UK: Edward Elgar. Chou, M.H. 2014. The evolution of the European research area as an idea in European integration. In Building the knowledge economy in Europe: New constellations in European research and higher education governance (pp. 27-50). Cheltenham, UK: Edward Elgar. Cooke, P. 1992. Regional innovation systems: competitive regulation in the new Europe. Geoforum, 23(3), 365-382. Cooke P. 2013. Complex adaptive innovation systems: Relatedness and transversality in the evolving region. New York, NY: Routledge. Ferreira, J., Garrido Azevedo, S., & Raposo, M.L. 2012. Specialization of regional clusters and innovative behavior: A case study. Competitiveness Review: An International Business Journal, 22(2), 147-169. Iammarino, S. 2005. An evolutionary integrated view of regional systems of innovation: concepts, measures and historical perspectives. European Planning Studies, 13, 497-519. Isaksen, A. 2001. Building regional innovation systems: is endogenous industrial development possible in the global economy? Canadian Journal of Regional Science, 24(1), 101-120. Lambooy. 2002. Knowledge and urban economic development: An evolutionary perspective. Urban Studies, 39 (5–6), 1019-1035. Lundvall, B.Å. 1985. Product innovation and user-producer interaction. Aalborg: Aalborg University Press. Porter, M. 1998. Clusters and the new economics of competition. Harvard Business Review. November-December, 77-90. Tenhunen, L. 2007. How international collaboration benefits companies – Evaluation of the scale effects of an expanding innovation environment. Cases InnoSteel and Metnet. In T. Similä-Lehtinen (Ed. ), InnoSteel – True Stories Made Out of Steel. HAMK Publications, 10. The agreement between the Finnish Ministry of Education and Culture and the higher education institutions for the period 2013–2016 contains a section of internationalisation to ensure high quality. According to the agreement, higher education institutions should create international strategic partnerships to strengthen their focal areas. In addition, the joint supply of education including joint and double degrees and the collaboration in research and development are essential elements in international collaboration. Higher education institutions typically have a large number of international agreements, which create insufficient collaboration and unnecessary bureaucracy among partners. To avoid these difficulties, HU University of Applied Sciences Utrecht searched the best partner and found Turku University of Applied Sciences in 2008. The top management of these institutions prepared the plans to create the strategic network, defined the required features of the potential higher education institutions and began to search suitable partners for the network. The partnership criteria included that the institutions should be universities of applied sciences, which have applied research and development that serve professional education and support regional development. The institutions should have similar fields of education to enable student and staff exchange, joint educational programmes and collaboration in research and development. The promotion of innovations also had an important role in emphasising the external impact of the institutions. International trade was an important motivation for the geographical coverage of the network. Europe is an important market for the export companies of the countries where the institutions of the strategic network are located. For example, the share of the export of the Finnish gross domestic product is nearly 40% and the share of Europe of the export is about 55%. The universities of applied sciences want to support international trade and other international activities. Another motivation for the European partnership was the funding from European Union for student and staff exchange and research and development projects. Based on these factors, the strategic network supports the European economic and social cohesion in the common market. The strategic network provides a trustworthy learning environment for students who want to strengthen their international competences (Kettunen, 2015a). Trust was considered an important factor in the strategic network because it lowers the unnecessary transaction costs (Kettunen, 2015b). It was agreed in the first discussions that the network should not be too large to support trustworthy collaboration and create benefits for the members of the network. Trust is important when the members prepare the bids of research and development projects, carry out projects and disseminate results. Institutional trust was promoted by the general agreement between members. The formal association was established according to the Dutch legislation. CARPE is not a closed network restricted only to activities between members. It is not reasonable to limit the collaboration between the predetermined partners, because the development needs of customers may require partners outside the network. Therefore the network welcomes other partners for research and development projects whenever it is reasonable for the aims of the projects. Similarly, the member institutions of CARPE have student and staff exchange with other institutions outside the strategic network whenever it is considered valuable. Figure 1 describes the geographical coverage of the CARPE network on the European map. The network has spread over Western Europe and it is biased in this respect. There are plans to extend the coverage to Eastern Europe. The Steering Committee of CARPE accepted the University of Debrecen as an associate member in November 2014 and it has a good possibility to become a full member if it can maintain the high activity level in the network. Figure 1. The geographical coverage of the CARPE network. The governance of the CARPE network is stipulated in the CARPE Statutes so that there are full members and associate members. The first five institutions are full members. The new members can be considered for associate members if they have enough activities including staff and student exchange and research and development projects. If the activity level remains high or increases, the associate members can be considered for full members. The convergence criteria have been planned to avoid unnecessary bureaucracy and maintain the high level of trust between the partners. Figure 2 describes the Steering Committee of CARPE in 2014. It is the highest decision making body of the network. It is represented by the heads of the institutions and supported by the support group which prepares the agenda of the meetings. The steering committee meets twice a year. The spring meeting is held in Brussels and autumn meeting in one of the member institutions. The Steering Committee evaluates the progress made and takes new steps for improvement of activities. It has also set various groups to prepare further development. Figure 2. 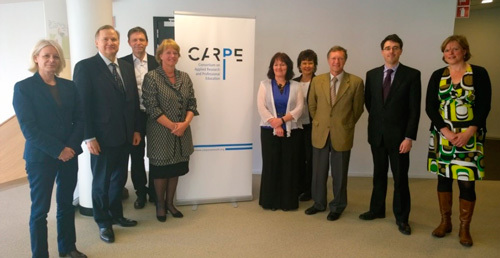 The Steering Committee meeting of CARPE in Brussels in April 2014. From left Dr Jacqueline Otten, Dr Juha Kettunen, Mr Ralf Behrens, Ms Geri Bonhof, Dr Sharon Handley, Ms Kirsti Virtanen, Dr Juan-Miguel Martinez Rubio, Dr Christopher Fox and Ms Marlies Ngouateu-Bussemaker. Establishment of a strong European reputation. 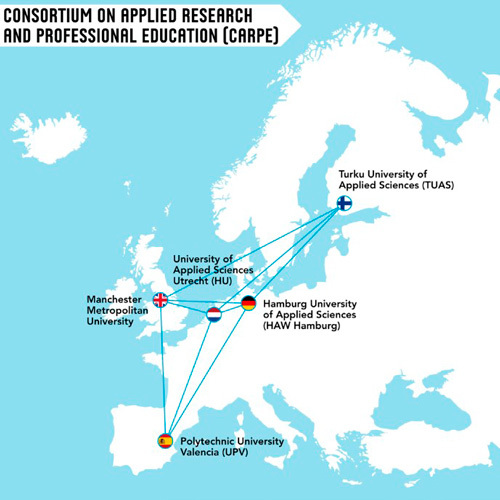 The CARPE network has increased the activity of the partner institutions in the European research programmes. The web site of the CARPE network (www.carpenetwork.org) includes a large number of research and educational projects. The general principle is that the CARPE partners first contact the other CARPE partners when they prepare new project bids. That is not always possible, because the workloads of the teachers and other staff at the partner institutions are full. Then other partners outside CARPE can be sought for the projects. The development of joint study programmes has taken its first steps. The objectives of the degree programmes at the home and host institutions have to be evaluated before the agreement of joint degrees. Additional challenges are the pedagogical regulations and structures of education, which are different in the countries of CARPE partners. Networking emphasises the need of the flexible structures of curricula. The exchange of students and staff has been active. The Turku University of Applied Sciences arranged the third biennale CARPE Conference in Turku in May 2015. The theme of the conference was Towards Successful European Societies: The Social and Economic Significance of Universities of Applied Sciences. Altogether 225 members from the partner institutions participated in the conference. CARPE has achieved the strong European reputation, because it is the first strategic network of its kind among the universities of applied sciences. The activities and results of CARPE network have been presented in international conferences. The reputation has reached Brussels, because CARPE Steering Committee has its spring meeting is in Brussels, where its meets the experts of European Commission. CARPE has connected education and research and provided services to small and medium-sized enterprises and other organisations. The strategic network has promoted economic and social progress through the strengthening of economic and social cohesion of Europe. The institutions of the network strengthen the capabilities that are needed in the European common market. Kettunen, J. 2015a. Learning and teaching in the European strategic network, The Online Journal of Quality in Higher Education, 2(2), 57-64. http://www.tojqih.net/pdf/v02i02/v02i02-06.pdf. Kettunen, J. 2015b. The strategic network of higher education institutions, Business Education & Accreditation, 7(1), 87-95. http://www.theibfr.com/beasample.htm. The Ministry of Education (MoE) in Nepal has taken the initiative to improve existing services by introducing the School Sector Reform Programme (SSRP) for the years 2009–2015 in response to educational development challenges of the country. Finland is committed to support Nepal within the SSRP as one of the Finland’s long-term partner countries in development cooperation. The aim of the SSRP is to improve the quality and relevance of education. The Training of Trainers (ToT) project started in spring 2013 as a two-year project coordinated by JAMK University of Applied Sciences and HAMK University of Applied Sciences working as a partner. Although the upgrading programme is a long-term process, this article describes one part of it, the ToT project. Firstly, the goals of the project are presented shortly. Secondly, the outcomes of the project are described based on the feedback of the participating teacher educators. At the end we assess the development cooperation between the higher education institutes. The goals of the project were closely linked with national ongoing reforms. The developmental objective of the project was to support Tribhuvan University in the implementation of the School Sector Reform Plan of 2009–2015 thus improving the quality of education. Taking into account the national political, economic and geographical facts, the educational reform has to be implemented in new ways. Thus the purpose of the ToT project was to support Tribhuvan University in the implementation of the Teacher Qualification Upgrading programme by training 75 teacher trainers and ICT experts from different campuses of Tribhuvan University in open and distance learning methodology. Table 1. The objectives of the ToT project. Teacher Trainers of TU-FoE and Regional Campuses have adopted new Open and Distance Learning (ODL) methods. TU-FoE and Regional Campuses administrators are oriented towards effective implementation and management of ODL-based Bachelor and Master programs. Pedagogy, adult learning and teacher`s profession. Major organisational changes simultaneously provide the possibility for a new way of thinking. They may act like cornerstones, which help workers to look to the future (Kajamaa 2015). Heikkilä & Seppänen (2015) speak of transformative agency, where the agency is regarded as the subject`s capacity to take purposeful actions to change their work. At the end phase of the ToT project feedback was gathered from the participants on two levels: quantitative and qualitative data using an online questionnaire and collaborative method (Learning café). The online questionnaire was answered by 56 teacher trainers from all six campuses of Tribhuvan University representing different subjects. The teacher trainers were well qualified: their teaching experience ranged from four up to more than 20 years. Adopting developing work approach; systematic planning. The teacher trainers had to evaluate their upgrading programmes on the campuses on a scale of 1 to 4 (figure 1). Figure 1. 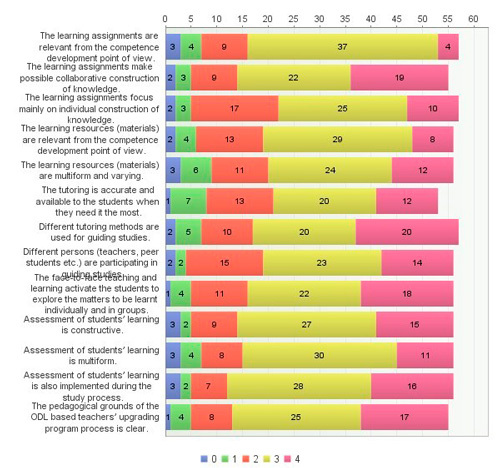 The rating of the 56 teacher trainers in the online questionnaire concerning the upgrading programme of the campuses. The biggest changes seemed to be in the formulation of learning assignments, the pedagogical grounds for the new ODL model, the shift in the implementation of assessment and the importance of face-to-face teaching. The three most important personal achievements of the teacher trainers were the new, innovative pedagogical methodology combined with increased ICT-skills and a possibility for professional growth. The three key challenges in the future work seemed to be the technological problems (e.g. learning environment, ICT hub, Moodle platform, E-library, lacking the ICT skills of participating teachers, electricity supply), motivational factors (e.g. the need to increase the number of participants, enrollment, awareness raising and motivation, need for smaller fees) and a clear status for the ODL programme on the campuses. The collaborative feedback method (Learning café) produced many overlapping comments. Therefore the feedback was divided into three themes: competence development, open and distance learning development and contextual changes. Competence development was regarded as very personal. However, the project seemed to increase empowerment and awareness as a teacher. The respondents referred to “an alternative approach in teaching”, which was new for them. The dialogue increased the participants’ possibilities to adopt new knowledge and build networks. The self-evaluation technique enhanced new learning, like systematic planning, too. According to teacher educators, development in ODL has been twofold: the development of the whole education model, from campus-based education to open learning environments on the whole university level and the development of ICT facilities, equipment and the skills. The ToT project was an updating process for the new era of education. Although the improvement of ICT skills was appreciated in the project, the teacher trainers stressed the combination of ICT technology with pedagogy. At university level, all six campuses had started to work together organising intra-university seminars. The coordination of the collaboration has been one important factor. At the end of the project, the teacher educators also emphasised that the ODL mode was a pathway towards a new university model, the Open University. The university used to be centralised in its activities, but the ODL development has promoted a decentralised model, which empowers the campuses. The social context is a foundation for every project. Global, cultural and political situations had a strong effect on the project. On one hand the feedback produced a lot of information on the reality of the campuses: the impact of political and the economic situation, the administrative policy of the university and many other factors that are out of reach of the teacher trainers. However, on the other hand they expressed enthusiasm and great willingness to implement a new, ODL-based pedagogical model. Generally, in a situation where work changes, transformative agency (the capacity of the subjects to take purposeful actions) in their work activity differs greatly (Heikkilä & Seppänen 2015). Transformative agency manifests itself in different work orientations. It is relevant to analyse what kind of pedagogical approaches during the ToT programme seemed to enhance transformative agency in the teacher trainers` work. The feedback showed that a huge amount of positive feedback emerged. The teacher trainers seemed to have taken many purposeful, goal-oriented actions. Obstacles that were interpreted as insurmountable at the beginning of the project were regarded as merely challenging at the end and no clear resistance to the development was visible. There was a lot of envisioning of the future: great hope that challenges in the development of the ODL models would be tackled on the campuses through collaboration. Cultural relevance: some teacher trainers seemed to find a gap between the reality and the practices implemented by the Finnish team. Linguistic barriers existed to some extent but also differences between pedagogical methodologies. Social context: political instability, economic situation, infrastructure and geographical challenges. Factors related to the conditions of the working teachers (upgrading programme participants). The development of inter-campuses networking using benchmarking and sharing best practices. The development of the ICT infrastructure further: More ICT facilities, computers, software and sufficiently internet connections, centralised and decentralised ICT services. Different kind of virtual environments as a toolbox for learning. The continuation of ICT skills and ODL-based pedagogical training and the development of Self Learning Materials. The updating of strategic plans including awareness of common goals and development priorities. The main campus of Tribhuvan University as a leading role in organising the development work. Increasing the number of campuses and specialisation subjects to the ODL programme. In order to sustain this programme, the government of Nepal should give special emphasis to it as to the strategies made by SSRP (2009–15). The original plan was to complete the ToT Nepal project by the end of July 2015, but a massive earthquake hit Nepal on 25 April 2015. This was noted as a risk in the Logical Framework Matrix of the ToT project. Therefore an extension of the project until the end of 2015 was applied in order to fulfill all project activities. Higher Education Institutions Institutional Cooperation Instrument. Centre for International mobility (CIMO). Accessed 8.6.2015. Heikkilä, H. & Seppänen, L. 2015. Examining Developmental Dialogue: the Emergence of Transformative Agency. Outlines – Critical practice Studies 15, 2, 5–29. Accessed June 8. http://www.outlines.dk. Kajamaa, H. 2015. Collaborative work development as a resource for innovation and quality improvement in health care: an example from a hospital surgery. In S. Gurtner & K. Sovez (Eds.) 2015. Challenges and Opportunities in Health Care Management. Accessed June 8. http://link.springer.com/book/10.1007%2F978-3-319-12178-9. School Sector Reform Plan 2009–2015. Preparing for Effective Implementation of School Sector Reform Plan 2009–2015. Teacher Development Policy Guideline. Ministry of Education, National Center for Education Development. Government of Nepal. Every summer a group of 30 colleagues from abroad come to Helsinki Metropolia UAS to join a so-called “International Non-Teaching Staff Training Week”. This “Staff Week” (for short) is an intensive five-day training programme designed for administrative staff from partner institutions from all over the world. The programme was launched in June 2010, building on the strategy and the values of Metropolia: high quality, community spirit, transparency and expertise. The purpose of the Staff Week is to network and share experiences and best practices regarding one’s own work among the international colleagues and the hosts at Metropolia. The annual Staff Week is a joint effort of the administration of Metropolia, and it brings together different service units. The hosting units vary from year to year, but there are approximately 30 people involved in the organisation of each Week. In June 2015, the programme was prepared with the administrative units in communication and marketing, IT, HR, strategy, alumni relations and student affairs, with the international office in charge of the general preparations. When counting all of the participants and Metropolia hosts, the five Weeks hosted so far have connected over 200 professionals from a hundred higher education institutions (in 28 different countries on four continents), making an important impact on the internationalisation of the administrative staff. Metropolia invites international participants with several administrative backgrounds to join each Staff Week. The whole group is together for three days, attending lectures and workshops relevant to all types of administrative participants, and for two days the group is divided into parallel, unit-specific modules with their Metropolia counterparts. The common programme has three main components: a general introduction to Metropolia and its support services, strategically highlighting the strengths and special features of the host institution. Furthermore, the programme includes an introduction to Helsinki and the Finnish culture to help the visitors adjust to the local surroundings and to get an idea of the Finnish values and way of living. The introductory parts have been well received, and contribute to the image of the institution and the host city as an exchange destination. Each Metropolia Staff Week carries an overall theme, which guides the selection of topics, presenters and case studies included in the common programme. To conclude the Week, a guest speaker is invited to address the overall theme and to challenge the participants to reflect on the topic. The core of the programme, however, is the two unit-specific days, where the participants benchmark each other and one of the service units of Metropolia administration. The participants in the same administrative function gather in a smaller group to share and compare their everyday work: e.g. the challenges they face in their job and the different approaches and solutions they’ve used to tackle those challenges. These customized workshops provide the opportunity to gain field-specific knowledge of multiple higher education institutions’ everyday practices that are not usually visible on the public forums. Discussions with the international colleagues on the trends of the field are regarded as a unique opportunity by the Metropolia hosts, and therefore as highly motivating. Gaining perspective and new approaches to common problems are mentioned as one of the benefits of the discussions. Equally important for the hosts is to gain a sense of affirmation that they are on the right track with developing their functions, as the guests find many of their current practices interesting. The encouragement gained through the hosting experience has increased the motivation for internationalisation, and the majority of the Metropolia hosts have shown interest in also going out on a staff exchange. Meeting partners face-to-face can strengthen ties and intensify current cooperation. In some cases the discussion started on a Staff Week has generated an additional visit, in order to benchmark some practices or functionalities in further detail. Although the immediate benefits of hosting a Staff Week are often harder to measure, the network created on the Week serves as a foundation for further development projects. A participant in 2014: It was an amazing week, full of useful information that will help to my personal development at work. It gave me new ideas! A participant in 2013: The daily contents were very useful to increase and develop new practices at home institutions. A host in 2014: The most giving part of the week was the feeling that I can communicate in a foreign language with people who have different cultural backgrounds. On the other hand, the institutions struggle with same challenges, which united us. A host in 2013: It was surprising how much there was to discuss together. It felt good to notice that we have good practices to – show and share with others as well! There is a growing interest in participating in the Metropolia Staff Week programme, and in fact for the past two years quite a few applicants have needed to be rejected in order to keep the group size small enough (in comparison with the current concept and working methods) as well as to assure the best possible job match among the participants and hosts. As the increasing number of applications suggests, the awareness of the training weeks of non-teaching staff is growing and there is more of both the supply and the demand. The European Commission has provided European higher education institutions (HEIs) with Erasmus funding for non-teaching staff training periods abroad since 2007, and the popularity has been rising steadily during all these eight years. The latest statistics by the European Commission state that during the academic year 2012–2013 over 16 500 staff training periods took place, with an increase of approximately 25% over the previous academic year. 59% of all these Erasmus-funded periods were undertaken by the non-teaching staff, but the statistics do not distinguish how many of these periods took place on a Staff Week. (European Commission, 2014, p.12). The Finnish HEIs are active with staff mobility. At the Finnish International Educators’ Days in Tampere in May 2014 the workshop D8 focused on sharing experiences on hosting Staff Weeks, and only among the participants of this workshop 19 different HEIs announced that they already have organized Staff Weeks. Hosting Staff Weeks programmes allows the number of mobility periods to grow in a cost-efficient way, and in many Finnish UASs the concept has an established role in expanding internationalisation to all of the institution. European Commission. 2014. “Erasmus – Facts, Figures & Trends. The European Union support for student and staff exchanges and university cooperation in 2012–2013,” Luxembourg: Publications Office of the European Union, (accessed Sep 13, 2015), available athttp://ec.europa.eu/education/library/statistics/ay-12-13/facts-figures_en.pdf. The Federation of Universities of Applied Sciences, FUAS, is an alliance of three independent universities of applied sciences; Häme University of Applied Sciences (HAMK), Lahti University of Applied Sciences (Lahti UAS), and Laurea University of Applied Sciences (Laurea). This agreement-based alliance operates in the Greater Helsinki Metropolitan Area. FUAS, the largest strategic federation of universities of applied sciences in Finland, comprises altogether around 19 500 students and 1 400 staff members. The KU Leuven Association consists of KU Leuven University and five merged universities of applied sciences. KU Leuven Association is a multicampus network situated in 23 different cities and towns across Flanders and Brussels with more than 103 000 students and 17 000 staff members. sharing of views in different areas, such as innovation systems and regional development work. This article concentrates on the cooperation in the field of quality management which the writers of the article have been deeply involved. In this article three development projects of the quality management are present by which the quality work of the federation/association as well as their member universities has been promoted. FUAS and KU Leuven Association implemented International Benchmarking Exercise on Quality and Education in 2013. The main objectives of this benchmarking project were to: 1) Discover and disseminate good practices of quality management, 2) Find the areas that need further development and to assist the further development of the quality systems and 3) To bring out the benefits and added value of the association/federation operation models. The benchmarking project was divided into two parts; general part of Quality management and systems and more specific case level part of Intended learning outcomes in the field of social services. The benchmarking project was formed around two benchmarking visits, the first one on May 2013 at Hämeenlinna, Finland and the later on August 2013 in Leuven, Belgium. About 30 staff members from both partners participated in the project. In KU Leuven Association five pillars: 1) Vision and policy, 2) Preconditioned basic facilities, 3) Implementation of education, 4) Systematic evaluation and 5) The follow-up of the evaluation and accreditation, form the frames of quality assurance. KU Leuven Association has a Working Group for Quality assurance whose task is to support the quality work and give tools for achieving higher quality. The operation itself is done at the institutional level. In FUAS, reaching for the strategic intent and aims of strategic policies is acted out through shared development groups. FUAS Quality and Data production team is the group dealing with improving the quality and measurement and the development of this operation. The FUAS institutions have their own quality systems on base on the circle of continuous development (elements: Plan-Do-Check-Act), although the content of the elements vary on base of the organisational culture. Having the expertise-based teams (e.g. “quality team”) consisting of colleagues from different institutions of the association or federation is a good way of stimulating the partners personnel to work together and spread the knowledge and good practices. This kind of team work forms a good base for creating and developing the quality culture. The concepts learning outcomes and competence are understood differently within FUAS as well as within KU Leuven Association. In Finland, regional competence profiles are more apparent and in Flanders they have been developed at more general level. The concept of constructive alignment proved to be an interesting concept to investigate the relation between learning outcomes and implementation of pedagogical practices. Regarding the pedagogical practices with the chosen competences there was a lot in common and good practices to share, e.g. student centeredness, three party involvements (student, future employer, teacher), multiple assessment methods and the use of authentic learning environments. Some specific differences were noted with regard to practical training placements (resources, the connection to the world of work, tutoring) as well as operations and agreements with the work place representatives. International benchmarking was experienced as an effective tool for improving the quality of learning and to enhance the use of authentic learning environments in the future. Besides this, it was found that international learning environments between the two partners can be created in the future and utilised for both; students to learn new competences and teachers for their professional development. The representatives of FUAS participated in the Strategic partner event in Hasselt September 2014 where three institutions KHLim, KHLeuven and Groep T officially merged together to form the University Colleges Leuven-Limburg. All the three institutions were already part of the KU Leuven Association. The Strategic partner event brought together partner institutions Zuyd UAS from the Netherlands and Belgian Campus from South Africa. The new institution have developed a pyramid model, which identifies the major components of their international cooperation, encompassing all levels and activities in the realisation of the development in their institution. Figure 1. Pyramid model of the merger of KHLim, KHLeuven and Groep T.
In the Strategic partner event, the international partners gave guidance and peer support to the strategic development, quality management and international cooperation of the new merger. FUAS representatives participated in strategic discussions as well as organized a workshop on quality management. The international partners share e.g. the following ideas on quality management: “Don’t make a quality bible, focus on the core: keep it simple” and “Peer review and collaboration with partners helps you to define your quality”. The FUAS member institutions prepared themselves for their international audits of the quality systems (executed by FINEEC in 2016) by doing preliminary audit together with auditors form KU Leuven Association in 2015. Quality management of the higher education institution’s core duties. The preliminary audit based on a self-assessment report by the FUAS Quality and Data production team. The evaluation visit was organised in March 2015. During the visit, the auditors became acquainted with the quality management of FUAS as well as each member institution and they interviewed altogether more than 130 representatives of the staff and students. The preliminary audit based on the means of enhancement led evaluation, which according to FINEEC is defined as evaluation through which the participant will identify the strengths, good practices and areas of development. It helps the participant to achieve their strategic objectives and to steer future development activities in order to create a framework of the institutions continuous development (Audit manual for the quality systems of higher education institutions 2015–2018. Finnish Education Evaluation Centre. Publications 2015:2). The key people responsible for developing the quality system are highly committed to their work. In addition to the results on FUAS level, each FUAS member institution received their own suggestions for the development of their own quality system. For example, in HAMK it was difficult for the auditors to catch the key message, the core structure of the quality system and the role of the actors at first, but those were clarified in the interviews. In Lahti UAS the audit team recommended that they could establish a consistent approach for assessing the societal impact of Lahti UAS’s actions and suggested improving the evaluation of the projects. All in all FUAS member institutions the staff members and students were very pleased on the possibility to participate in the interviews of the pre-audit. They got the feeling that the auditors were prepared well and made relevant questions. 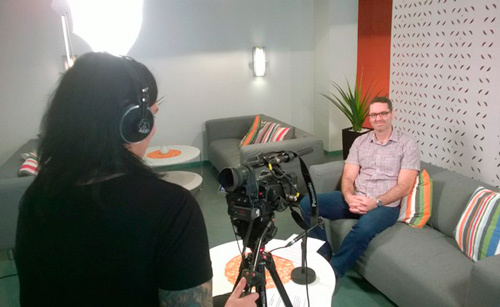 The interviewees thought that the atmosphere was very supportive and relaxed. This helped them to speak English, yet some staff members felt it bit challenging. Overall the three international benchmarking and evaluating projects revealed similarities and differences in the way of thinking and in the operating methods concerning quality management. The projects deepened the participants’ knowledge on the quality management in the association/federation level and on the good practices of both partners. Moreover, it promoted the critical self-evaluation of activities and peer learning. In the future, the aim is to continue this fruitful co-operation between FUAS and KU Leuven Association. Audit manual for the quality systems of higher education institutions 2015–2018. Finnish Education Evaluation Centre. Publications 2015:2. Descheemaeker, A., Foyen, D., Verbrugge, M., Waeytens, K. & Keränen, H. 2015. Preliminary audit of the FUAS federation of Universities of Applied Sciences. Foqué, A., Garré, P., Heikkilä, S. Ignatius J. & Kunnari, I. 2013. Federation of Universities of Applied Sciences – KU Leuven Association Benchmarking project 2013. International Benchmarking Exercise on Quality and Education. Ignatius, J., Järvinen, M-R., Friman, M. & Heikkilä, S. 2014. FUAS-liittouman laadunhallinnan kehittyminen step by step, Step-by-step: Development of FUAS quality management. HAMKin e-julkaisuja 14/2014. Strategic partner event 08–09 September 2014, introduction. The notion of a more strategic approach to international partnerships means that there is more effort put into developing alliances with clear purposes and outcomes. In the words of Kai Kiiv of Estonian Academy of Music and Theatre: “A successful international partnership requires common ideas and aims the partners work for”. Gerard O’Donovan of Cork Institute of Technology School of Business defines international collaboration as strategy based when the strategic goal of his institute and the partnership are the same. Bob Burke of Southampton Solent University defines a successful international partnership in higher education context as “one which has longevity and a ripple effect where the content, process and relationships not only have an impact on the participants but also beyond that”. It is unrealistic to think that a strategic partnership would involve the entire institution, but it cannot just be a responsibility of one or two individuals. It is therefore vital to keep everyone informed and sufficiently interested. At the individual level the motives for working on internationalization probably relate to healthy curiosity and desire to learn. Working with foreign colleagues stimulates personal professional growth. Bob Burke describes his involvement as “an important project for my development. The cross-disciplinary thinking and the focus on cultural difference has given me a range of experiences that I would certainly never have had within my day-to-day role at my home institution”. The variety and diversity of cultural differences, which become apparent in international human cooperation may even reorganize personal understanding about the variety of cultural imperatives. Peer to peer learning in international context may make one question “tried and true” professional actions, if one truly appreciates the knowledge overseas partners possess and is ready to offer something in return. According to Gerard O’Donovan, it has been positive to meet academics and students with common interests, but with diverse backgrounds. This has enriched his own personal life as well as resulting in development of a number of new programmes in his Faculty. Especially with academic collaboration there can be basic philosophical differences in methodologies, teaching and learning, which will cause inability to work together and the partners might find themselves working in parallel to each other instead of cooperating. The participants’ professional foci can be very personal and thus a sensitive subject, which may diminish one’s readiness to accept different approaches and change. Also there are personality differences in sense of personal power and what is understood as efficient. The connection a participant perceives between one’s educational efforts and intended outcomes is also very personal and culture dependent. All these personal dimensions can cause mistrust and suspicion, which are not values that push the partnership further. If these cultural and other differences between partners are acknowledged and talked about, it helps to overcome some of the difficulties relating to mutual understanding. Kai Kiiv adds that “as far as international collaboration is concerned it often also means acknowledging and respecting cultural differences – working habits and attitudes in different countries can be rather different”. Reasons for misunderstandings due to different work cultures can be simply the work tempo and the different understanding of the nature of professional time. According to a study by Vozzo and Bober (2001) there are four important factors that allow personal characteristics to contribute to successful long-lasting partnerships. There is time for practitioners to plan their activities and to know and to reflect on the professional and personal expectations of the participants. There is abilities within the partnership to make an analysis of the chosen methods to ensure effectiveness of the action. There are resources available to develop the participant commitment. There are funds available to sustain the planned and emerging activities. Kai Kiiv explains that “in order it to be successful, the partners must acknowledge each other’s strengths and weaknesses to use the maximum capacity of each.” When the best individual qualities are linked with collaborative teams’ mutual actions it will give best results. Complementarity is also important because cooperation makes sense only when in addition to similarities, differences in expertise are used and the partners gain professional expertise from the collaboration. Partnerships should have equal benefits and advantageous returns to all the members. Gerard O’Donovan compares international partnership to a marriage: “Give and take on both sides and always compromise for the greater good or shared goal.” Also Kai Kiiv mentions that actually like in any partnership flexibility and respect towards each other are the key factors. The importance of the individuals maintaining informal contacts as well as formal contribute immensely to the success of long-lasting partnerships. Disagreements and misunderstandings inevitably occur, but they can be turned into fruitful situations for providing evidence for new patterns of action and abilities for conflict resolution. Trusting and respectful dialogue is what is needed. According to Bob Burke: “We all disagree on things frequently, but respect each other’s opinions and everyone is given a chance to contribute”. So there may be different approaches, but they are valued and people are willing to compromise. The reasons for internationalization are also often only described at a macro level without reaching down to explore the individual motivations which may support or constrain internationalization at a particular institution. It is the people and their personal motives who shape the internationalization of each university. It could even be said that institutional partnerships easily fail, because they function through individuals and are therefore more vulnerable to personal instability and failure. And however high-grade ideas there might have been about the purposes of the partnership association, one quickly contends with some basic human interaction. The complexity involved in working in the field of internationalization in my mind requires an additional set of knowledge, attitudes, skills and understandings about the international/intercultural/global dimension of higher education. These competences are however often taken for granted and not even recognized, nor developed actively. When I asked the three interviewees what was the most important thing they had learned regarding international collaboration, all concluded that one always has to keep in mind the respect for cultural differences even if it can be difficult sometimes. There should be more importance attached to the promotion of intercultural understanding within the higher education context as well, especially in the light of the pressing challenges stemming from culturally based clashes within and between countries and peoples that we face today. Ms Kai Kiiv, Project Manager of International Relations at Estonian Academy of Music and Theatre. This review has its background in a joint development process of the authors during the UAS R&D Expert coaching program started early 2014 (funded by the Ministry of Education and Culture, Finland). These five experts from five different UASes brainstormed together and found different practices to share with others to implement internationalisation of education and RDI in their home organisations. Internationalisation of the region and working life through international RDI-projects. Promotion of internationalisation requires cross-sectoral co-operation. Mobility of scientists, researchers, teachers and students, international networks and common scientific publications, as well as exploitation of the knowledge produced abroad are correlated strongly with the level of innovation and a new way of working. Different ways to internationalise studies do exist, but they are not used systematically. International activities can be carried out many ways, e.g. as student or personnel exchanges, teaching in foreign languages, involving students and teachers in international projects or arranging international seminars and international weeks. In addition to conventional ways of home internationalisation, digital tools bring new possibilities. For example, many shared e-learning study- and RDI-platforms exist and creation of MOOCs is a rising trend e.g. among EU project funding. One example of widely used special study platform is the Learning Management system LMS of the European Police Academy (CEPOL). International joint and double degrees and joint curriculum development offer also tools for home internationalisation for both students and teachers. One example of this is Erasmus-funded ERDI module (Empowering Regional development and Innovation) launched already 10 years ago in four EU-member states and coordinated by Karelia UAS. A joint curriculum has been developed and the modules are carried out annually in one of the universities involved. Both teachers and students are participating from each university, and the cooperation is deepened also into common RDI actions. As another example of curriculum development, JAMK UAS has recently coordinated the launch of a 100% virtual coaching program (Soulbus-e-Coach) to improve the multicultural guidance skills of teachers and mentors as a part of EU funded Life Long Learning Programme (LLP) project. Improving language competences and cultural knowhow plays the most significant role in internationalisation. In connection with student’s Individual Study Plan, the student could discover the most suitable path for internationalisation during studies. As a means in the exchange and identification of competences, the Europass system is used. Europass stationary directs the mapping and recording of the student’s competences and student can use the filled forms during the entire study time. The Europass documents are also beneficial documents to show the competences when seeking a job or applying for international internships. Another example of home internationalisation is a strategic leadership program Executive MBA in Policing. The 80 ECTS programme is directed for middle- and upper-level managers of police units and is organised by three HEIs in Tampere: the Police University College (Polamk), the University of Tampere, and the Edutech (Centre for Professional Development at Tampere University of Technology) as coordinator. To succeed in European level RDI funding competition, it is important to develop the UAS project culture systematically and in a persevering manner. In order to complete high quality proposals, organisations’ management level must be committed to allocate reasonable resources for the preparation process. Key issue is also to integrate multidisciplinary knowledge and skills of personnel, students and working life partners into the preparation process. Further, the participation in European networks before any project calls in an effective way to enhance the deeper understanding of the thematics and learn to know the key players of the field. It is crucial for an UAS to gain recognition as a trustful partner and thus facilitate the invitations to high quality project consortiums. Existing networks may also offer opportunities to take part on preparation process of EU programmes and give a possibility to propose topics and ideas for the future calls. As an example, JAMK has participated to the European Innovation Program’s Active and Healthy Aging (EIP AHA) network. The network aims to bring together all actors in the innovation cycle, from research to adoption along with those engaged in standardisation and regulation. The partnership provides these actors with a forum in which they can cooperate, identify and overcome potential innovations barriers and mobilise instruments. The Police University College has strong European networks. It participates in international cooperation with the European Police College (CEPOL), European Security and Defence College (ESDC), the European Police Research Institute Collaboration (EPIC) network and a Nordic police research network. Also, CEPOL has the European Police Exchange Programme (EPEP) exchange program running since 2007, and NORDCOP police training program offers mobility in Nordic Countries. Polamk also sends annually experts to crisis management courses of several institutions like EU, UN and OSCE (Organisation for Security and Co-operation in Europe). Active presence in international networks has been a successful strategy and lead into wide range of international RDI funding. Another way to improve the know-how of specialists to create successful project proposals is to work as an evaluator for EU programmes. Regardless of the high workload, this position offers an authentic insight to the project proposals; both strengths and weaknesses of the applications are reviewed in a detailed way. Evaluators learn to distinguish characteristics of a good proposal in terms of content, impact and technical excellence. Until recently, these kinds of possibilities have not been actively supported by UAS organisations. On the other hand, if UAS is not yet strategically closely connected to any European RDI-network or consortium, one way to show up its competence is the international accreditation. Kymenlaakso UAS (Kyamk) has an internationally known emission measurement laboratory that has accreditation from FINAS (Finnish state authority) and Sjöfartsverket (Swedish maritime administration). Also, some activities are registered in EU level as Designated Organisation (licence to issue CE-certificates). That makes Kyamk more interesting and reliable partner in that sector e.g. for Horizon 2020 programme calls. In many Finnish UASes the paths for internationalisation are embedded in organisational strategies. Also, several ways of classifying and grading international partner organisations exist. In many cases the international mobility partners differ from partners for international RDI work, which means double work and loss of resources. A more strategic approach of managing international partners would be ideal, with more emphasis put on mobility and RDI cooperation with same organisations. For example, many of the long-term mobility partnerships could be expanded to cover also other joint activities, like RDI projects. Each student or teacher going abroad should be asked to fill out a form indicating the possible ways of (project) cooperation with the target university. Needs for cooperation could be mapped during the exchange, and response to the needs could be discussed within the home university after the exchange. Anyway, for multi-sectorial organisations like UASes it is not always reasonable to select only a few strategic international partners, but each sector should maintain their own. In addition, multidisciplinary networks as ERRIN (European Regions Research and Innovation Network) exist. Kyamk staff participated last year to ERRIN seminar where it was possible to present ideas for the H2020 project proposals or show the interest for others’ ideas. As a result, Kyamk decided to join in a consortium aiming to support energy efficiency actions at schools. The coordinator had a good touch for preparing the proposal and advised also partners to do their parts during the preparation work. In six months the proposal was submitted to the EU. Only a few of the partners knew each other beforehand, so the cooperation does not always require deep strategic background to work together. Strategies should neither hinder to take a chance when seeing one. Sometimes a good project proposal comes to you when you are least expecting it, and not necessarily from a strategic partner organisation. An example of taking a chance comes from Karelia UAS’s recently announced cooperation with NASA Epic Challenge, which gives students a possibility to co-generate ideas with world-lead experts for sustaining humans on Mars. Certainly, this cooperation was not written in any strategy, but it gives students an once-in-a-lifetime opportunity for global networking. It seems that every UAS has a long list of international partners available. The main question is: Do we know our partners? Where can we find the names and contact information of key persons? A long list of partners is not valid if strategical purposes do not match. To ensure and improve active international contacts, some UASes strategically choose the most important partners and focus on the cooperation with those. Häme University of Applied Sciences (HAMK) carried out an evaluation for international partners during 2009-2010. Criteria for strategic partnership were built up together with the future partners: Feevale University, Brazil and VIA University College, Denmark. In this case, the most important keynotes were research and virtual teaching. Four research units started in 2014 in HAMK. Collaboration with strategic partners is carried though these units on a fast, flexible and natural way, joint projects and student work as a result. Thus, communications and mobility of teachers and students are coordinated, and also the strategically shared research topics and personal contacts are enhanced. HAMK will hold a strategic meeting with the partners in November 2015 to clarify the research subjects and to ensure maximum four common research areas. For example, a common eLearning activity will be piloted in spring 2016 in the shape of Successful aging and digitalisation research project by organising joint courses between Feevale University and HAMK. A long term goal is to have a common 5+5+5-ECTS credit module available for students, including 5 ECTS credits per partner university per year. Students already participate in common research projects and work closely with local enterprises which are familiar with the strategic partner. This is one example of cross-fertilization of innovations and students will have skills to work as bridge-builders between different cultures, business areas and SMEs (Small and Medium Sized Enterprises). In HAMK, internationalisation strategy includes also that second-year students need to have contact to strategic partners and to integrate with them during studies. In practice, common modules with strategic partners are a long lasting solution for cooperation and an opportunity for students to gain international competence. The mission of the Journal of Finnish Universities of Applied Sciences (the UAS Journal) is to report on the research and development activities at universities of applied sciences in order to facilitate cooperation, promote actions, advance transparency, and further regional vitality. The UAS Journal focuses on education, research and development activities in the fields of practice-oriented higher education in Finland. Since 2014 annually one number has been published totally in English. This International Issue (no 3/2015) of the UAS Journal is focused on practices and results of strategy-based international partnerships of Finnish Universities of Applied Sciences. Higher education institutions (HEIs) are seen as key players to the internationalisation of the economy and society. To success in this demanding task, HEIs have increased cooperation with foreign HEIs by deepening existing partnerships and creating new partnerships. In addition to the volume on international cooperation, HEIs are increasingly paying attention to the quality and added value of cooperation. In order to get more benefit from international cooperation, HEIs have created strategy-based international partnerships. These partnerships are no longer just about signed memorandums of understanding and student/staff mobility but increasingly international curriculum development, double and joint degrees, as well as research, development and innovation (RDI) cooperation. International strategic partnerships can improve the quality of different dimensions of higher education, not only in education and RDI but also management, campus life etc. As an example of this kind of strategic international cooperation, FUAS Federation of Universities of Applied Sciences and KU Leuven Association (Belgium) has signed the strategic partnership agreement in 2012. The partnership is focused on benchmarking different cooperation models in higher education, compare national developments in higher education, and share insights on the development of innovation systems, the role of regional development in higher education, and the development of working-life oriented educational programmes and the integration of research in education. In practice the cooperation is implemented via strategy workshops, strategic staff and researcher exchanges, benchmarking seminars, and study visits. concreate results and experiences from international strategic partnerships. As a result we got manuscripts which describe five types of articles: 1) general discussions about internationalisation of HEIs, 2) strategic partnership agreement based development of HEIs, 3) international networks, 4) international project cooperation, and 5) international education cooperation. The first two articles talk about different forms of international cooperation and motives behind international cooperation. The first article by Tero Ahvenharju et al. defines four types of international activities at universities of applied sciences. Authors talk for example the role of student/staff mobility and participation to the networks in creation of strategic partnerships. They ask important questions such as “do we know our partners?” The second article by Minna Liski emphasises motives behind strategic partnerships and talks about individual level aspect and the role of personal characteristics in successful international partnerships. The basic idea in this discussion is the fact that even if strategic partnership agreements are done between higher education organisations the real cooperation is done between individuals. The strategic partnership agreement based development examples consist of three articles. The article by Jaana Ignatius et al. describes the strategic partnership between the Federation of Universities of Applied Sciences (FUAS Federation) and the KU Leuven association in the field of quality management. The next article by Jenni Leinonen opens Metropolia International Non-Teaching Staff Training Week as a method to support international networking, benchmarking and sharing best practices among international partner HEIs. The third article by Maija Hirvonen et al. reports about the cooperation between JAMK Univeristy of Applied Sciences, and Häme University of Applied Sciences and Tribhuvan University (Nepal) in the field of teacher education. The international network focused articles document experiences from two different types of networks. The first article by Juha Kettunen is a description of establishment, activities and results of the CARPE network – the Consortium on Applied Research and Professional Education.The second article by Marina Weck and Lauri Tenhunen reports experiences from the knowledge-based innovation network METNET which aims to support regional innovation systems by consolidating the expertise and efforts of the reginal steel construction and technology industries in research and development and by sharing knowledge and technology services, new production-related solutions and operating models among the steel industry. The international project examples consist of four project descriptions. The article by Janika Kyttä et al. describes experiences from Finnish-Chinese project which aims to improve strategic partnership activities between the partner universities and to promote future cooperation between Finnish and Chinese companies. The second article by Hanna Hopia et al. 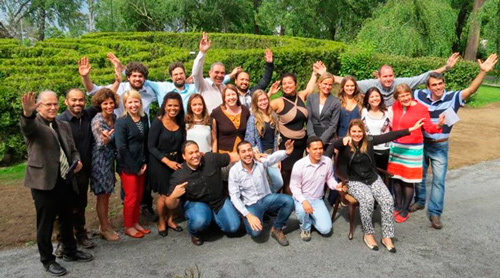 is an example of the international project cooperation focused on multicultural competencies. The third article by Minna Keinänen-Toivola et al. 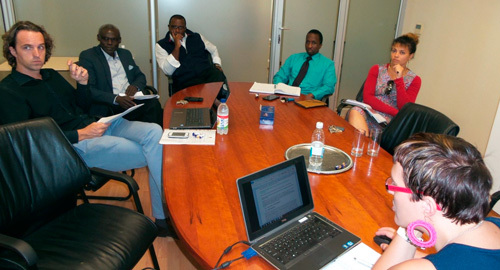 describes a research project cooperation between Satakunta University of Applied Sciences and Polytechnic of Namibia. The last project example by Marja Silén-Lipponen and Annikki Jauniainen describes experiences from international project cooperation related to the recognition of prior learning with German and Estonian partners. The last two articles describes educational cooperation practices. The first article by Seija Mahlamäki-Kultanen et al. focuses on a pilot teacher education designed for vocational and higher education teachers in Brazil. The second article by Ville Lehto et al. is a description of a joint business simulation course carried out in cooperation with Kalsruhe Hochschule, Laurea University of Applied Sciences and Saimia University of Applied Sciences. As seen from the short article descriptions above, there is only a few articles that documents and analyses strategy-based partnerships, and none about success factors of international partnerships or characteristics of effective partnership management. This indicates that although there is a growing number of international strategic partnerships in Europe, the strategy-based international cooperation takes only the first steps in Finnish universities of applied sciences. The individual international projects described in this volume are good examples of current international activities in a way to strategic partnerships.